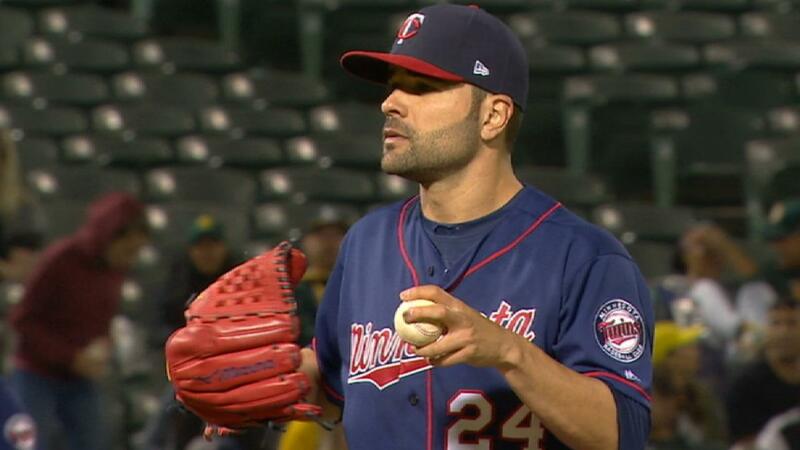 Jaime Garcia actually gets $10M guaranteed on Jays deal. $8M base in 2018, $10M option or $2M buyout for 2019. $2M in incentives each year. Maxes at $22M over 2 years. One of the biggest offseason priorities for the Blue Jays was to add one more starter for the rotation, and general manager Ross Atkins took care of that. Toronto's starting five will consist of Marcus Stroman, Marco Estrada, J.A. Happ, Aaron Sanchez and the newly-signed Garcia. The 31-year-old split last season with the Atlanta Braves, Minnesota Twins and New York Yankees. Garcia compiled a 5-10 record with a 4.41 ERA. He pitched a total of 157 innings and recorded 129 strikeouts against 64 walks. This likely means that Joe Biagini - a natural reliever who was moved to the rotation last year - will be used strictly in the bullpen in 2018. That's assuming the Blue Jays have a healthy rotation. Sanchez made just eight starts in 2017, as a nagging blister injury threw away almost a whole season. In 2017, the Blue Jays rotation compiled a mere 4.57 ERA, which placed them 14th in baseball. It was a significant drop-off from the squad that had baseball's fourth-best pitching staff in 2016, posting a team ERA of 3.64. For his career, Garcia is 67-55 with a 3.69 ERA with 852 strikeouts. He's won double-digit games four times, with both 2010 and 2011 seeing Garcia win 13 decisions. At the very least, he gives the Jays a flexible back-end starter. The Blue Jays finished fourth in the A.L. East last season with a 76-86 record. It was obviously a major letdown year, considering that they reached the ALCS in both 2015 and 2106. Though Toronto hasn't made any blockbuster trades or expensive signings, Atkins has kept busy this offseason. He also traded for infielder Aledmys Diaz and outfielder Randal Grichuk from the St. Louis Cardinals in separate deals. The Jays also signed outfielder Curtis Granderson and traded for infielder Yangervis Solarte from the San Diego Padres. We'll see if Garcia and these other signings are enough for the Jays to reach the playoffs for the third time in four years.